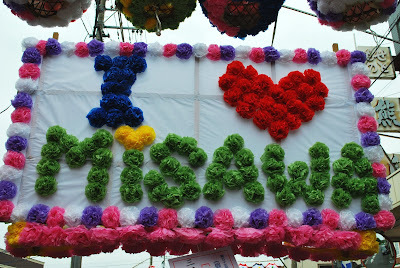 Every year Misawa celebrates the Tanabata Festival outside the Misawa Air Base main gate. 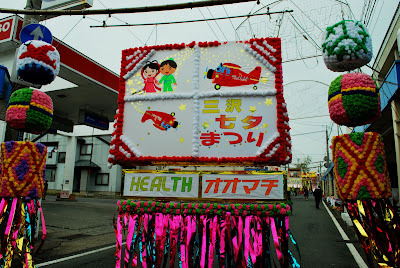 This year the festival was held from July 24 to 26. We went Saturday afternoon and we were fortunate enough that it did not rained. It was drizzling but still we enjoyed the event. The first day of this festival it rained very hard as well as Saturday and Sunday night , a really bad day for some people. 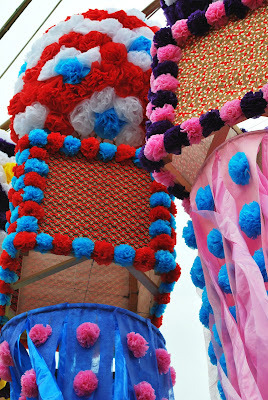 The streets were filled with bright, colorful and decorative streamers and lanterns. There were also a lot of food and toy stalls and children activities such as catching gold fish, target shooting, raffle draws and a lot more. 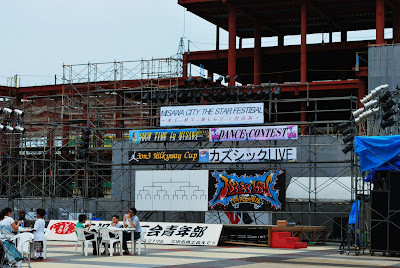 There was also a dance contest and there were Japanese and American performers. 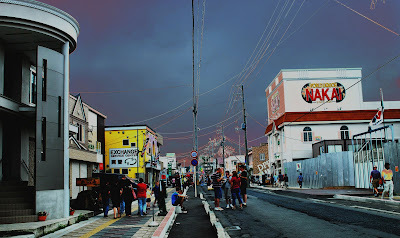 It's summer here (supposed to be), but that day was a bit gloomy and it did rained when we were leaving the place. 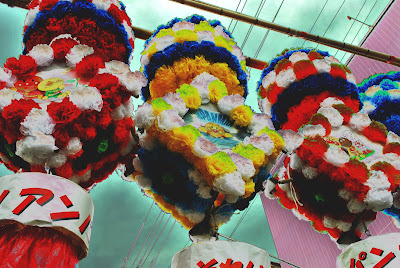 It celebrates the meeting of Orihime (Vega) and Hikoboshi (Altair). The Milky Way, a river made from stars that crosses the sky, separates these lovers, and they are allowed to meet only once a year on the seventh day of the seventh lunar month of the lunisolar calendar. 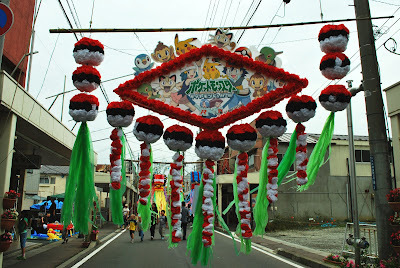 The celebration is held at night, once the stars come out. Did they ban vehicles on Main Street for the festival? What a colorful festival. But sad that it rained. Good shots of those colorful banners. Thanks for visiting my blog. Care to link? 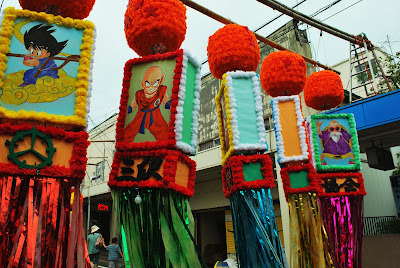 I like those colorful lanterns. Looks like they're adorned with flowers. Too bad the weather didn't cooperate - we had plenty of unusual rain in NY last June too! Mari- thanks for dropping by my site, yes I will link your blog here. Nomadic- thanks for dropping by too, I wish I could visit NY sometime....soon hehehe. I'm glad you posted this! 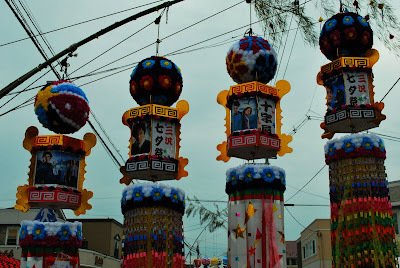 It's our first summer in Misawa and we're excited for our first Tanabata Festival - it's coming in a few weeks. I'm excited to read your other posts from around Northern Japan!